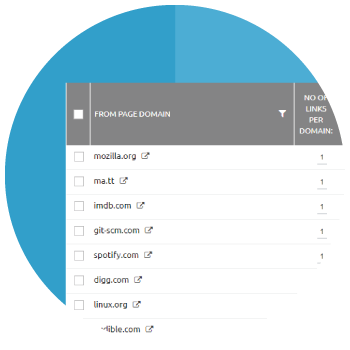 Our link research tool will help you dissect the backlink profiles of any site. Find the strong & weak links, filter links by various criteria and spot linking opportunities. and find their strongest links. Perform a complete backlink analysis evaluation on your competitors sites and identify the powerful links that are helping them with their rankings. Gain SEO insights that can really help give your site a push forward. should you be focussing on? Yes, anchor text diversity is important but are there particular anchor text combinations you're under-optimized for or for which your competitors are doing a fabulous job? Analyze all this and more with our powerful backlink analysis tool. with our powerful advanced filters. 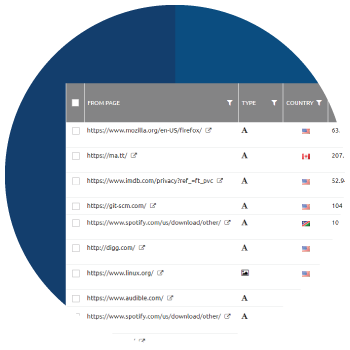 Our backlink analyzer will help you group by and filter links based on the anchor text, link strength, ip address, c-class, country and a lot more. There are plenty of ways you can dissect the backlink profile for any site.